Here you will find our latest and greatest work as well as promotions, tips and tricks and behind the scene looks into our silly world! We are so glad that you are here! My day job (on Tuesdays and Thursdays) is running our church’s Mother’s Morning Out program. I love this ministry and these sweet little faces! Here are a few from our Spring Portrait session. Our brother is a wonderful writer..in our unbiased option. He asked us to take some new headshots before his first book Transform Your Tomorrow: 10 Daily Habits for Living the Good Life (How to Be Good at Life) launched on Amazon. Here’s the link: http://a.co/1hXNZN4 You should buy it. This baby is BEAUTIFUL! Her big blue eyes, sweet smile and bare feet are a photographer’s dream! I was so thrilled to meet at Chimney Park in Covington to capture her First Birthday! Oh, baby Luke! How you’ve stolen our hearts! Thank you for letting us take your 9 month / Valentine’s Day pictures! We’ve had the pleasure of photographing Lisa and Eddie’s sweet little family for a couple of years now! This Christmas, they purchased a gift card for their parents to do an extended family session with them and their 6 siblings and soon-to-be son-in-law! Brilliant idea! We LOVE how well they color coordinated! 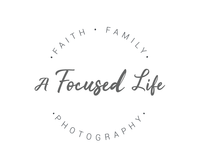 © a focused life photography 2019 | all rights reserved | design by jasmine janae design.